The Clearview Solution 400 is a smaller version of the Solution 500. 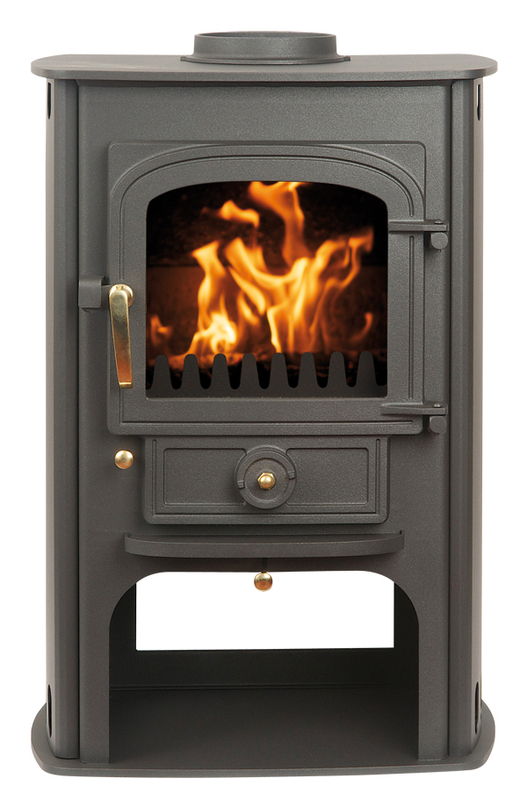 It is a highly efficient clean burning convection stove that brings elegance and comfort to any home. The hot air-wash system gives fascinating flame patterns and crystal clear glass, and its convection casing allows installation into spaces not suitable for all stoves. The stainless steel side panel option gives the stove a more contemporary look. A Clearview double-glazed door that gives an impressive, uninterrupted view of the flames. Refractory lining, and tertiary air supply, promoting super clean combustion. Adjustable hinges and door catch to maintain air tightness throughout the life of the door seals . Built in fuel store for logs or kindling. Available in a range of seven colours to compliment your decor. Optional top or rear flue outlet. External air box, for a direct connection to an outside air supply.